Amazon - Fulfilled By Amazon (FBA) is a very popular solution for online retailers. You store your products in one of Amazon fulfilment centres and they'll handle the picking, packing and shipping of your orders directly to your customers. That leaves you more time to focus on selling your products as well as potentially reducing daily running costs of a warehouse and shipping staff. If you already use Amazon FBA and the Amazon FBM store has been integrated with Veeqo then use the guide below to learn how to switch on your FBA integration. If you haven't already connected your Amazon store with Veeqo then checkout the guide Setting Up Your Amazon Store. If you'd like to sign up to Amazon FBA or would like to know more about the benefits go Here. 4. A brand new store will be automatically created on the Stores page with the name of your Amazon store followed by the letters FBA. It will also have the Amazon FBA logo to help you identify it from your standard Amazon store. By default the Amazon FBA store will have the tax by country option switched off. With this option left switched off the tax amount will default 0%. 5. Your FBA product listings will begin to be pulled into Veeqo. You'll then need to link up the listings to the correct Veeqo product by going to Products>Listings. For full details on how to link up your listings check out the guide on How To Link Your Stores Products. 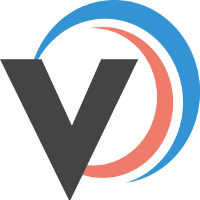 Once your listings are linked Veeqo will then begin pulling in your new FBA orders. When you have integrated your Amazon FBA account you'll be able to keep track of your new FBA orders in the same place as all your other orders. They'll feature on the Orders page and can be easily filtered so you can go through them by pressing the Amazon FBA filter. The order status will automatically update in Veeqo. Once The Amazon fulfillment centre has shipped your item the order will show the Shipped status in Veeqo. This will help you keep track of the status of the order! If you want to view your current FBM stock for multiple products you can either Export a Product CSV, or display the stock of a specific warehouse by selecting Warehouses and clicking on the type you want to view from the filter on the left hand side of the Orders page. 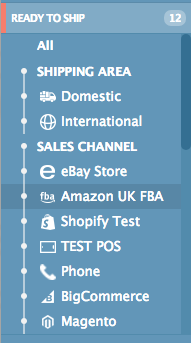 The Amazon FBA store will be included on all the standard Veeqo reports that are available on your account. It will appear as an additional store on reports such as Returns, Profit, Warehouse Inventory and Sales. You'll then be able to see how well your products are performing on both FBA and FBM, which will help get a real sense of how well your business is performing.